OnePlus’s leaked camera application from the Android P Beta 2 build has the Google Lens. The application has popped out as a standalone APK file and it can be installed on all OnePlus handsets running Android Oreo now. For those who don’t know, Google Lens is Google’s intelligent solution to recognize content from the images with the help of Camera. Google Lens so far was a feature integrated into Google Photos. However, with the feature making its way to the OnePlus Camera application, we might see it camera apps of other phone makers as well. The Google Lens is a great utility especially when you see something around and you know absolutely know nothing about it. Just show the object to the Google Camera and it will pull up all the information regarding what you show it. Google Lens performs various operations. It can read QR Codes, it can read text from the images and give you the text to copy. If you show the objects from a historical site or a museum, the Google Lens will bring all the information in order to teach you more about it. Another great utility of the Google Lens is that it can read plants and animals. It can also find you the links to shop for a specific product when you show it. I personally tried installing the OnePlus Camera 2.7.19 APK on my OnePlus 6. It adds the Google Lens feature to the features menu in the camera application. 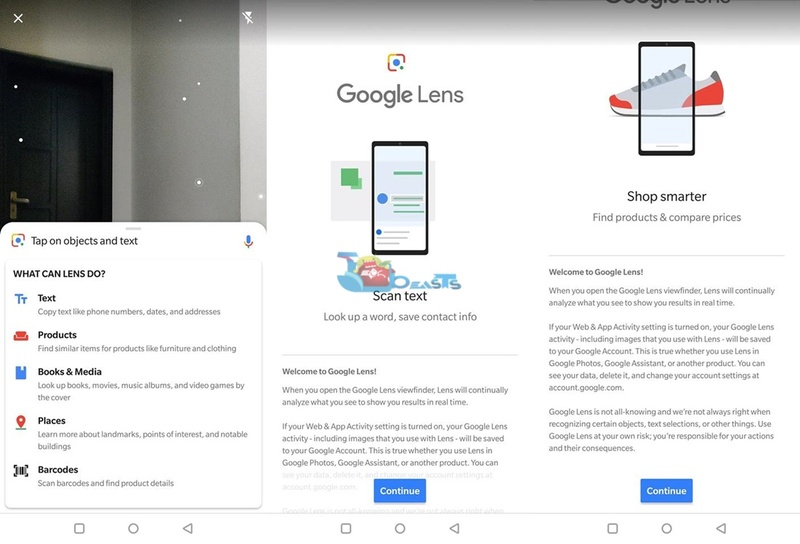 In order to launch the Google Lens, you simply have to turn on the camera and pull up the menu from the capture button. I also tried installing the OnePlus Camera 2.7.19 APK on OnePlus 5T and the OnePlus 5. The app worked flawlessly on those phones as well. One thing to note here is that all these phones were running on Android Oreo. It means if you have a OnePlus 3 or 3T running on Android Oreo, there are likely chances that this app will work on your phone too. I’m not sure about OnePlus 2, OnePlus X and definitely not about the OnePlus One. Go ahead to download the OnePlus Camera APK with Google Lens. This is the latest OnePlus Camera 2.7.19 APK and it will work on all the phones as mentioned earlier. 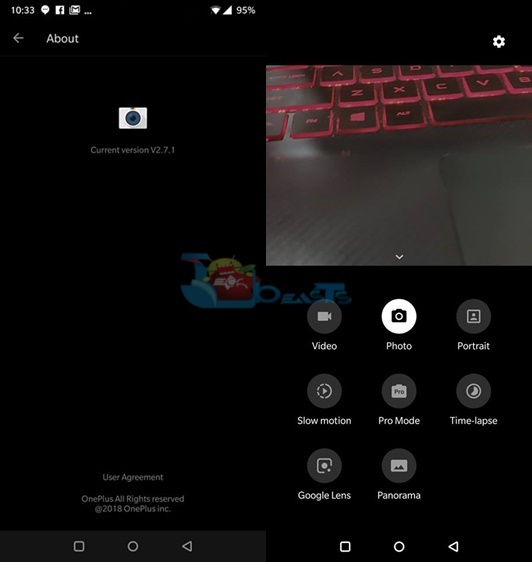 Download the OnePlus Camera Google Lens APK – Download Link. On your phone, open the File Manager > Locate the APK file > Tap to install it. If the APK asks for permissions, allow it. Complete the installation. It will replace your existing camera app. Now launch the camera and pull up the menu from the “Photo” option. You will now find Google Lens in the last line right before Panorama option. Tap Google Lens and follow on-screen instructions to use it. That’s all.